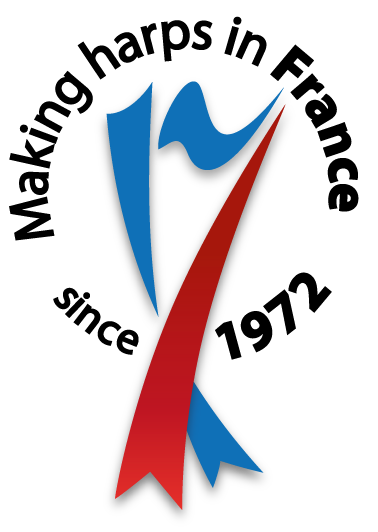 The long-established national competitions in London will take place, as ever, on the UK May bank holiday weekend: Sunday, May 5th and Monday, May 6th 2019 at North Bank House. We’re delighted to be welcoming Stephen Fitzpatrick and Emma Ramsdale to be our illustrious jury members. 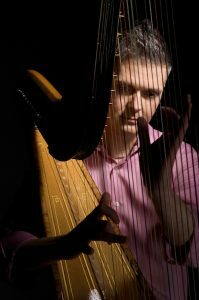 Stephen, British in origin, is now Principal Harpist at the Berlin Staatskapelle under Daniel Barenboim, and is also Professor of Harp at the Mozarteum in Salzburg. 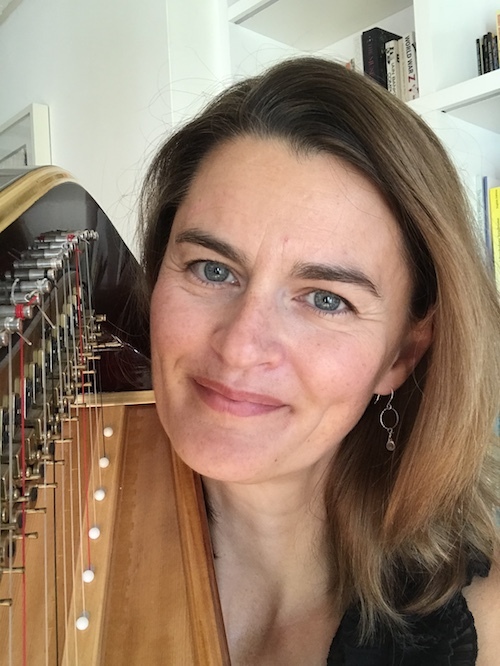 Emma is an ABRSM diploma examiner, and has taught at Junior Guildhall and many schools during her teaching career, while also pursuing a busy performing schedule. North London offers competitions for every age and stage, from grade 1 (ABRSM / Trinity syllabuses), to young professional. There are also the increasingly popular junior and senior chamber music classes. 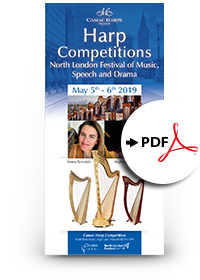 The Camac Harp Competition is open to pedal harpists of conservatoire standard and beyond, studying or resident in the UK / Republic of Ireland and aged up to 30. We are very pleased that once again we can offer a great professional opportunity to the laureate of this competition, in the form of a paid lunchtime recital at the Proms at St Jude’s. Candidates should therefore be available for the scheduled concert date of Friday, June 28th 2019, at lunchtime in London NW11). Registration is via the online form of the North London festival. He has been invitied to be a jury member with many important competitions such as the ARD Music Competition, Deutsche Musikwettbewerb and the International Harp Competition in Szeged and is also regularly invited to be jury member for auditions with internatinally renowned orchestras. Stephen was member of the harp faculty at the Hochschule für Musik Hanns Eisler in Berlin from 2008-2011 and Professor for Harp at the Barenboim-Said Academy in Seville from 2004-2011. In 2010, he was appointed Professor of Harp at the Mozarteum in Salzburg and from 2018 he will be teaching regularly at the Royal College of Music in London. As a scholarship student at the Royal Academy of Music, Emma Ramsdale studied with Daphne Boden and Skaila Kanga. During her studies she gained sponsorship and prizes from many organisations including the Royal Over-Seas League Music Competition, the Countess of Munster Musical Trust, Foundation for Sports and the Arts and The Royal Academy of music. For about 5 years Emma has been a diploma examiner for ABRSM.